On our recent trip to New South Wales we followed up our walk from Otford train station to Helensburgh train station, through the Royal National Park, with another long walk the next day. Once again we referred to the Wildwalks website for another option that included using public transport, with a train being our preference. This time we chose a similar length walk that would take us from East Hills train station to Padstow train station through the Georges River National Park. Once again we got a train only minutes after 9am to avoid the rush and to get a day return for $7.00. On arrival at the train station at East Hills you are soon on the water’s edge of the Georges River and there are plenty of birds in the surrounding bush as well as on the water. The first section of the walk is flat and along the river and passes some housing. 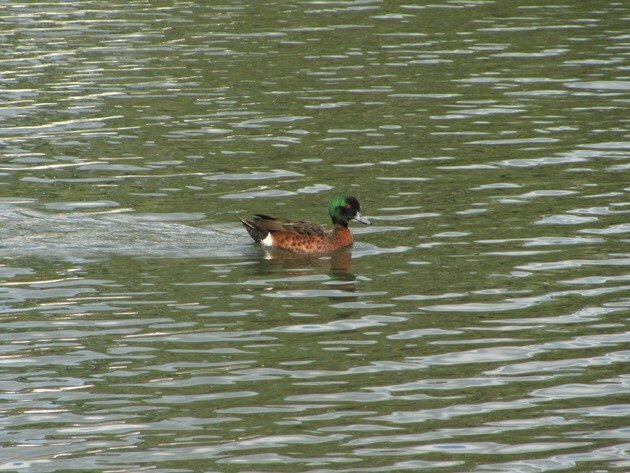 The most common duck was the Chestnut Teal and this was our first chance this year to add them onto the 2014 year list. 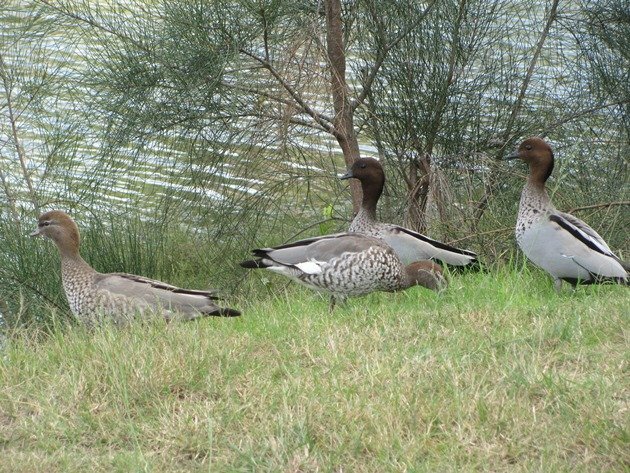 There was a group of Australian Wood Ducks on the riverbank and Superb Fairywrens in the reeds nearby. There were also Little Black Cormorants and Little Pied Cormorants settled on the boats moored along the river and several Silver Gulls. 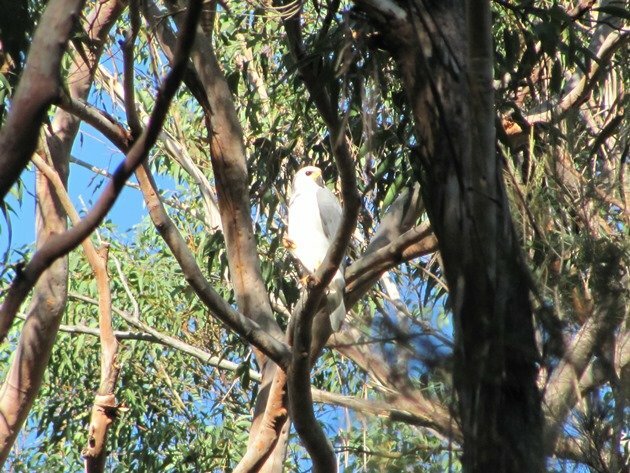 Common Mynas, Australian Ravens, Rainbow Lorikeets, Red Wattlebirds, Australian Magpies, Magpie-Larks, Willie Wagtails and Welcome Swallows were present in the parklands. It is important to keep an eye out on what is going on in the trees as there are numerous smaller species which you will miss if you are not constantly on the lookout. There were Silver-eyes, Grey Shrike-thrush, Eastern Yellow Robin and Eastern Spinebill to name a few. 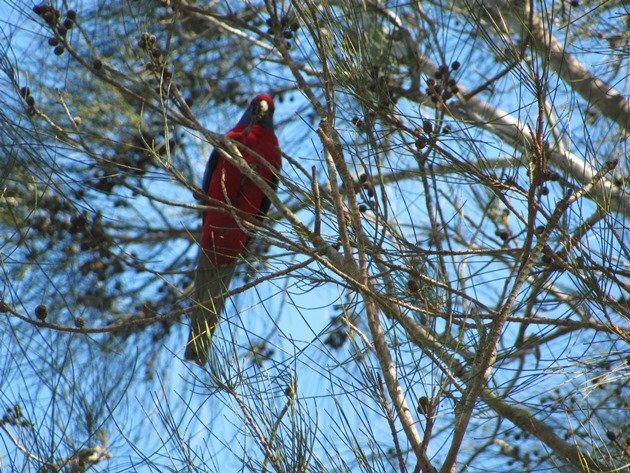 One of the brighter coloured birds that can easily be overlooked in the trees is the Crimson Rosella and if you hear the sound of minor destruction happening it will be this species nibbling away in the trees. It is incredible how red and blue can just disappear into the colour of the trees. The walk takes you to Yeramba Lagoon and it is worth allowing a bit of extra time to circumnavigate this area. The trees are full of birds if you spend the time and we encountered some great birds in the area. The lagoon itself is full of growth and there are Purple Swamphens present, but the tall trees around it are where the really good birds are. We encountered Red-browed Finches along the edge of the lagoon and then in the trees there was a Jacky Winter, Rose Robin, Eastern Yellow Robins, Spotted Pardalote, Golden Whistler, White-eared Honeyeaters, New Holland Honeyeaters and Grey Fantails. Once you find a hotspot it is worth just stopping and seeing what else is there apart from the initial bird that catches your eye. From Yeramba Lagoon you follow the trail to end up high above the Georges River and it was at this location that we took a break to enjoy the view and have our lunch. 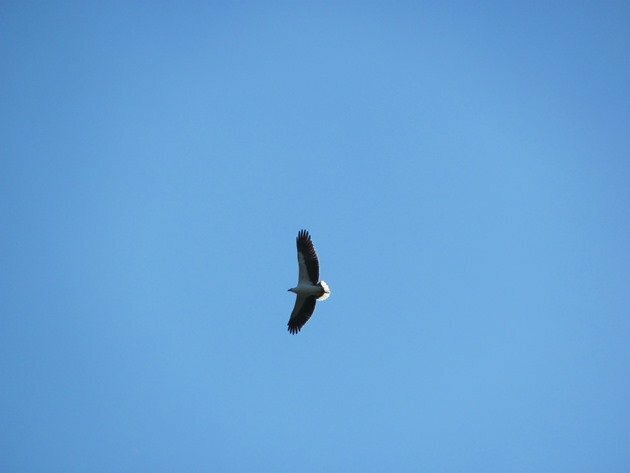 We had a White-bellied Sea Eagle fly over once again, so that was two lunch breaks in a row and many miles apart! 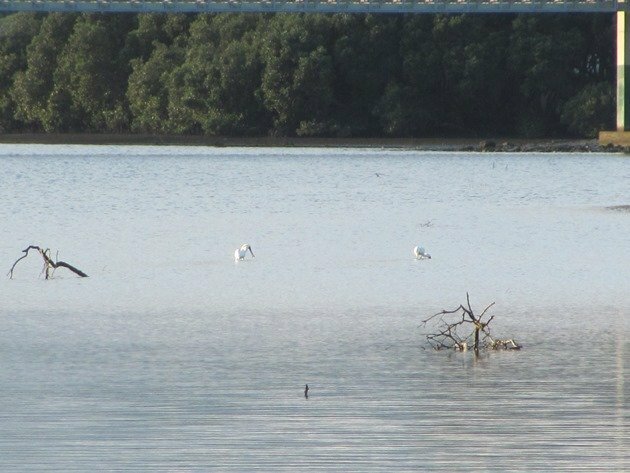 We continued on along the trail and there were Black-winged Stilt near the Little Saltpan Creek and then Australian Pelicans and White-faced Herons on the far bank. We then turned towards Mickey’s Point and had only just started along that track when Grant gasped and stopped. 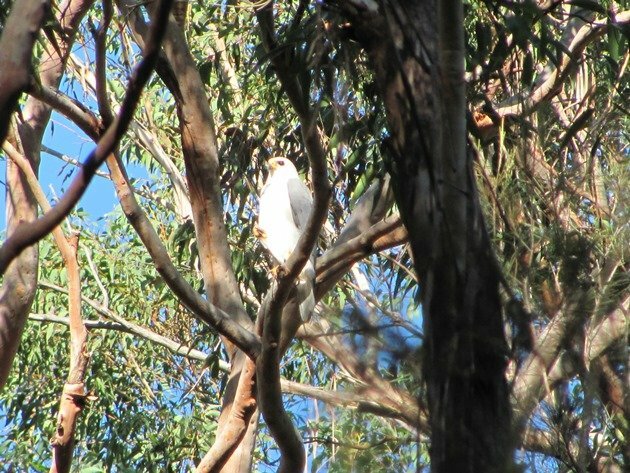 It was a brief view of a Grey Goshawk. This was rather special because I had observed one briefly in Southern Queensland last year as it flew by my side of the car and Grant did not see it at all. This time we felt it had not gone far and moved slowly forward until we found it perched on one leg in the tall trees. This time we both saw it and we even managed to take some photographs and we both had finally had good views of a bird that we had not even considered finding so close to the city of Sydney. 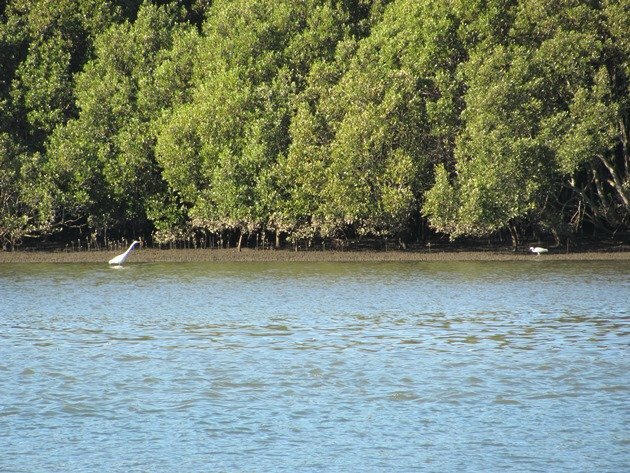 We continued on and you walk along the beach for some time until you reach the Alford’s Point Bridge, which you continue under through the mangroves and then towards the distant hill named “Beauty Point”. Sadly and ironically it appears that all of the rubbish in the river ends up washed up in this area and it is by far the least picturesque area that you walk through. As we climbed the rocky hill we had not expected to find much more in the way of new species, but in the gully there were numerous Red-whiskered Bulbuls. They are an introduced species, but have not become as invasive as other species like the Common Myna. The trail becomes a boardwalk towards the end after a brief walk through the houses where we observed Crested Pigeons and Common Starlings. From the boardwalk in the late afternoon we observed Royal Spoonbills busy feeding in the river and also Great Egrets and White-faced Herons. The walk did take the estimated five and a half hours even with all of our stops at various hotspots and for lunch. The walk could be reduced by heading back up the road to Revesby train station, but of course you may not get so many species! 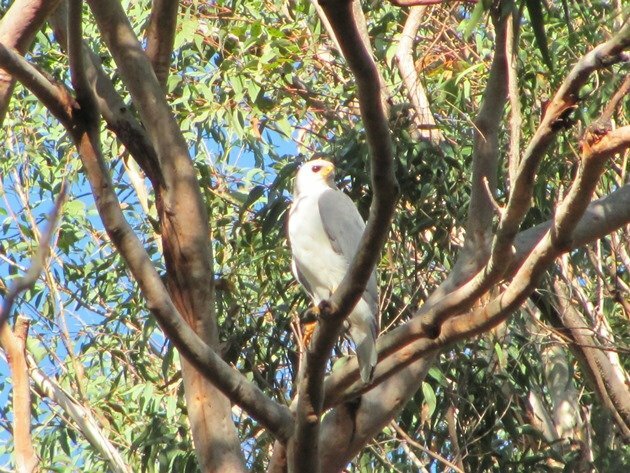 We saw 56 species with the highlight being the Grey Goshawk.